I’m Wajahat Karim from Karachi, Pakistan. I am a mobile developer (especially Android) with hands-on professional experience of about 5 years in both apps and games development. Currently, I’m the Senior Android Developer at Trapeze Group through Contour Software, a part of Constellation Software Inc, which is a leading provider of software and services to a select group of public and private sector markets. In this role, I work on development of android apps mostly related to transportation for Trapeze Group. Daily you’ll find me discussing architectures and technical details with my team and coding & fighting with bugs on Android Studio and trying to adjust my sanity while gradle is wasting my time building mysterious things. All these things keep me happy and challenged every single day. Outside of work, family and friends keep me busy and happy all the time. I have an amazing family and insanely crazy friends. There’s no shortage of daily insanity and I don’t think I would want it any other way. In my free time, often when my family is asleep or on free weekends, I mostly spend time on reading (Medium and books) and writing about stuff, life experiences, technical things I learned, failures I got, and about anything I could get my hands on. This helps me create a different perspective to see things around my life and make my observing ability stronger. Much of my writings are available on my Medium profile or on this website. This writing habit have led me to become an editor of one of big Medium publications called as AndroidPub - which has over 30,000 followers and has been read for over 8 millions minutes with an average of around 8000 visitors per month. 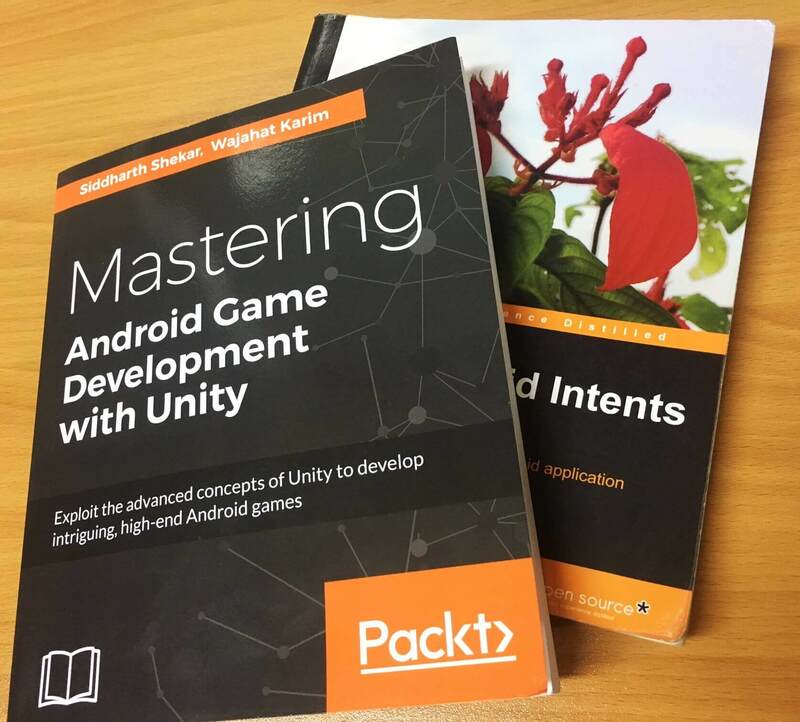 I have also co-authored two tech books published by PacktPub with titles Learning Android Intents and Mastering Android Game Development with Unity. I’m a quick learner and have fun to experiment with new software technologies. These days I am experimenting with Google’s Firebase platform. I even hosted this website on Firebase hosting after ditching the good’ol WordPress website. I also contribute to open source community and work on new Android experiment projects or libraries. These are available on my Github profile. I try to maintain my Github graph of daily contributions to all green and no gray boxes, but sometimes I just don’t get enough time to make the box green and miss it by gray. You can reach to me through Contact Me page. PS: I like to have an online existence and working on this website helps me do it. I’am using a static website generator called Hugo. You can learn more about why I write this website and the technology I use here.